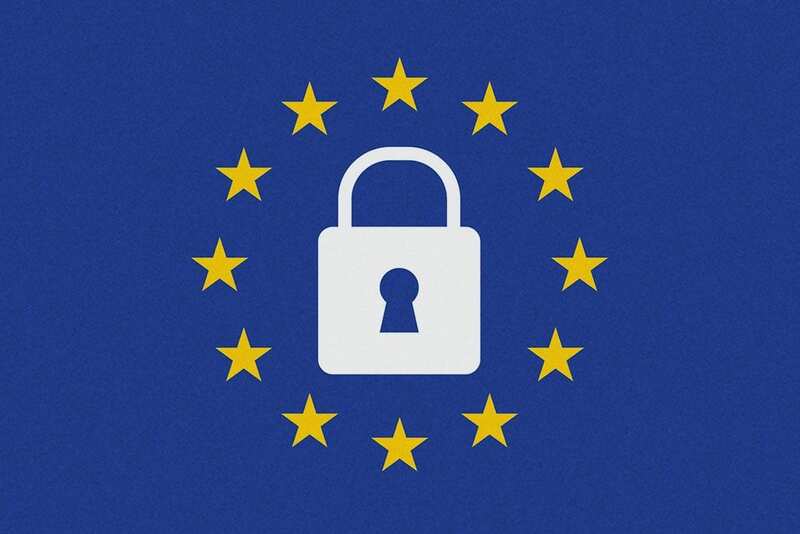 If you have not heard, Europe's new General Data Protection Regulation (GDPR) is going live on May 25th. The new rules have a significant effect on advertising, email marketing, and website standards around the world. Here in the United States, many of the biggest players in marketing and technology are rolling out considerable changes to stay compliant with the laws. Even though Americans are not subject to European regulations, Europe decided anyone servicing European citizens must follow these laws. With a 4% penalty on all global revenue, large companies are concerned. Google had worldwide revenue of $110 Billion last year. That equates to a $4.4 Billion potential fine. One of the ways they do this is by controlling the processors of data. Europe defines two parties who control the data. The owner of the data (you) and then the processor. Examples of processors include Facebook, Google, and Shopify. These companies provide services to companies that allow them to track customer data. While Europe set up the laws two years ago, many companies in the US and the rest of the world are just learning about the GDPR. Because of the confusion with the new law, the amount of traffic crashed the EU GDPR website. Does complying with the GDPR cause problems with US laws? In other words, you cannot give data to Europeans and not Americans. You need to provide information to both sides equally. Therefore, if you are an American company you need to grant access all your customers. One definite advantage of using Facebook advertising is the virtually unlimited data they provide advertisers for targeting the best prospect. However, that targeting took a considerable hit when Facebook decided to shutter partner categories. Partner Categories seems like a small program no one even knew existed. Yet, this little program is at the heart of some of the most sophisticated targeting on the social network. Data partners like Oracle and Experian sell data to companies like Facebook, so they can improve the quality of the ads. The higher quality ads lead to more ad content their audience wants and helps advertisers find targeted clients. Advertisers need to re-think their strategy now that they lose some quality data from their ads. If you need help reviewing your Facebook ads, feel free to contact us for a free consultation. First, Google Analytics data could now come with an expiration date to more advanced reporting features for custom segments or other identifying custom reports. Because you might need to share this information with users at a certain point, Google wants to know when you want it deleted. Additionally, you need to make sure you remove any Personal Identifying Information (PII) from website visitors in your analytics. Google started suspending or deleting accounts that had PII in their analytics. They are afraid this information could violate the new data laws, and trigger a fine. Second, the data rules affect Google AdWords. They even put in their terms of service that advertisers on the platform are independent controllers of data. Google wants nothing to do with these laws and keeps pushing responsibility to the advertisers. Part of their new requirements includes more vigorous opt-out instructions and records of consent to continue advertising on their platform. They are also considering returning to non-personalized ads when a marketer does not consent to the GDPR regulations. Between the new updates in the latest version of WordPress 4.9.6 and a slew of plugins, website owners can stay compliant with the updated laws. That is why in the tools area WordPress added two new tabs. One to Export Personal Data and another tool to Erase Personal Data. WordPress made the process easier. We also installed the WP-GDPR plugin. 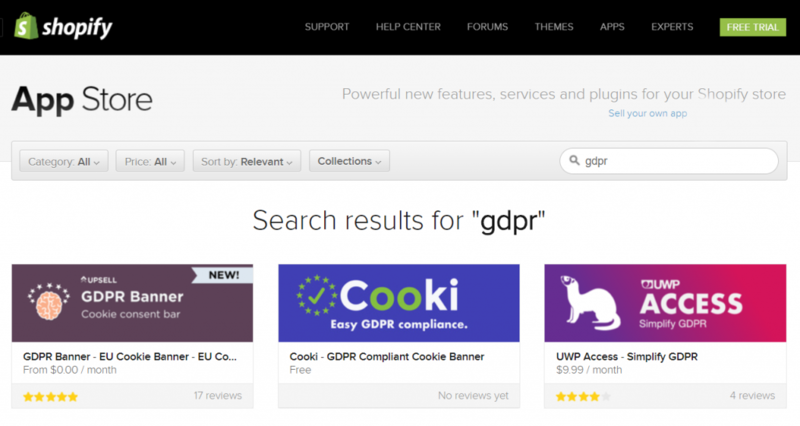 Depending on your needs, you might want to review the Cookie Law/GDPR Info or GDPR plugins. The WP-GDPR plugin makes sure you ask the right privacy questions before signing up a new contact to your list on form builders like Gravity Forms or Contact Form 7. It also works on the e-commerce plugin WooCommerce as well as the WordPress commenting system. Fro what we read in Shopify’s white paper about how they plan to comply with the GDPR, they are taking a more hands-on approach. The e-commerce service directs their paid merchant clients to them for more technical aspects with individual contacts to ensure the process goes smoothly. They do plan to roll out some tools to help with this process eventually. For example, when users want their information deleted, the merchant forwards the request to Shopify who verifies the requester as well as confirm no legal reason to preserve the data. Shopify asks all requests sent to privacy@shopify.com. Have not purchased a product within 180 days of the request (chargeback period). Merchants have the same requirements for collecting information as they would on WordPress. The site deals with clients around the world and is working to incorporate GDPR procedures on the platform. Part of the updates also includes GDPR apps in the Shopify store that can address some issues the site has not resolved yet. We could spend a lot of time on different email marketing and automation services. Since HubSpot is one of the largest and most comprehensive tools, we will talk about them for now. However, if you use other services like Marketo, MailChimp, Infusionsoft, or countless other services. What we talk about here have relevance to other email marketing services. Check with them to find out how you can stay in compliance. The GDPR has some of the largest technology and marketing companies in the world concerned about how they handle data for their marketing. Even if you don’t have clients in Europe, the changes at these companies affect how you use digital marketing in your website, search, social media, and email marketing strategies. If you have any questions about how you handle data for your marketing, now is the time to act. Contact us at 312-265-0580 for a free consultation today, so you can stay in compliance and keep your marketing moving forward. Google Glass. Gadget or Groundbreaking Gamechanger?